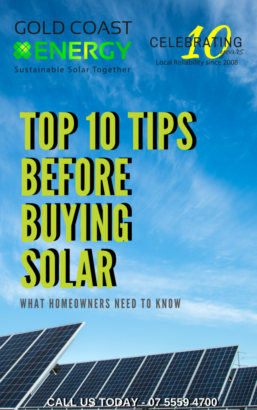 If you’re thinking about investing in roof top solar, or you’re thinking of upgrading your existing solar, the first step most of us take is some internet research. 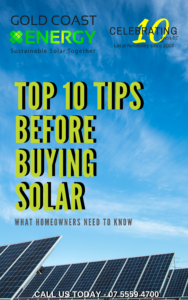 However, you may come away feeling confused about what would suit your home and lifestyle best, there are so many different variables, products and opinions out there, plus don’t get us started on all the different output capacity and energy yield figures! Oversizing your PV array, is a phrase you will often come across and it simply means adding more solar panels to your system, than the standard recommendation for your inverter, so that your PV array has a higher peak capacity than the inverter. The majority of homes will find they receive 80 per cent of the output rating as real power. This is due to weather and seasonal conditions, air temperature and density, and other non-optimal conditions. If a PV array cannot deliver its full potential power, sizing an inverter to match that array’s typical peak power can make better use of the inverter’s AC output capacity. By oversizing a PV array, the amount of annual energy produced will significantly increase, but your installation costs will only be a small percentage higher. Therefore the cost of the energy delivered is lower. By oversizing a PV array, the DC energy output of that array can better match the rated AC power of an inverter. This means that an inverter with a lower AC rating, which is less expensive, can be used. Sometimes an inverter will need to be installed in a specific location, either due to constraints from the owner or local electrical regulations. This could mean it wouldn’t be possible to install as many inverters at a site as desired, for a perfectly sized system. However by oversizing PV arrays, it may be possible to achieve almost the same annual energy output with fewer inverters installed. By oversizing a PV array, the inverter can reach its rated AC capacity earlier in the day, and continue operating at that point until late in the afternoon. In the case were your inverter fails, it is not always possible to replace it with the same model inverter. By installing an inverter with a lower AC output power, the existing PV array could be better matched to the inverter’s capacity and the replacement cost to the system owner minimized. Majority of PV arrays are installed North facing, however in situations where the area available for east and west facing orientations is greater, a PV array might be split into some east facing strings and some west facing strings, to achieve the best possible energy output. When oversizing PV arrays it is important that an inverter’s critical input limits are never exceeded. It is important to always comply with local electrical regulations. Gold Coast Energy’s expert team can assist with any queries you have on oversizing PV arrays. Now is the perfect time to start making the most of your solar power system, call us on 5525 2111 for more information or email us at info@gcenergy.com.au an obligation free quote.